For purely academic reasons, I will be attending this year’s Baltimore Deathfest! Actually, it’s a great opportunity for me to merge my growing interests in death metal music and seeing where and what kind of research could be gained by exploring issues of gender while attending. I’ve been quite busy this semester and I haven’t had a chance to write about the courses I’ve been taking but it’s rolling around to finals week and I’m finally wrapping things up. So stay tuned as there will be more and more posts soon. My Visual Anthropology class has continued to be pleasantly surprising. 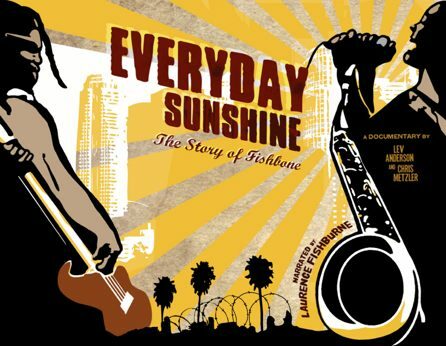 I’m currently in the midst of writing up a review of the musical documentary, “Everyday Sunshine: The Story of FishBone“. As one of my final papers for the class, we’ve been assigned to assess the film both in terms of style, audience, and scope and were required to report on the event which offered the screening. For me, I take it with a long list of other papers I’ve had to write that I’ve grouped as “training” experiences. I’ve never been a critic and I think this paper is a great exercise in assessing a documentary in terms of its overall style, scope and achievement. 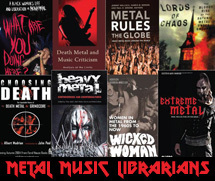 The other paper I’m working on has to do with linguistics and word preference used by women in the Death Metal Music scene. I’ve also been asked by my VA professor to write a proposal on this idea as if I wanted to make it into a film documentary. Since this paper’s due before I go to the Deathfest show, I’ll have to keep a notebook of my findings while there. It’s all about building that academic body of work. In any case, I’ll be off to enjoy and research some Godflesh, Napalm Death, Morbid Angel and countless other bands! Wish me luck.